"Yogya," as its called by the locals (sometimes "Jogja"), is a relatively small town, with very little to see in the city itself, and very little nightlife. 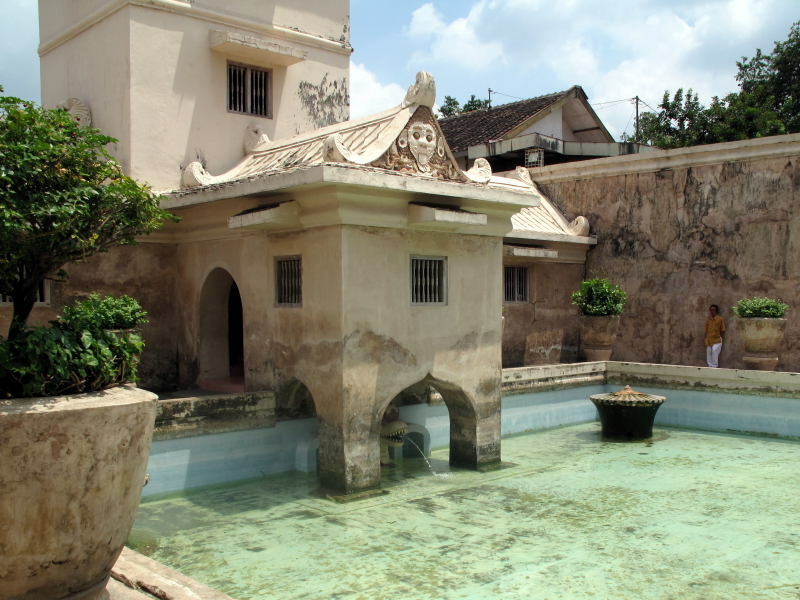 The main sight is the Kraton, the sultan's palace in the center of Yogya, and its many associated sites such as the 'water castle' Taman Sari and the carriage museum. It's sort of a city within the city. At its center are the sultan's quarters, which are open to the public for guided tours. The bulk of the palace is actually a museum displaying portraits of the previous sultans, family trees and gifts from foreign dignitaries. The old town area of Kota Gede is also worth a visit. Here, there is an interesting old mosque housing the tomb of the first Muslim ruler of Yogya. Around this is a charming old neighborhood that's worth spending a few hours walking around. At night head down to Jalan Malioboro, the city's main shopping district. It was the annual school holidays when we first visited (early July) so it actually seemed like the whole city was there, shopping and eating at the many stalls along the road. For restaurant fare, try the Legian Garden Restaurant next to the Malioboro Mall. Yogya's main attraction is as a handy base camp for exploring the ancient temples and natural scenery of the surrounding countryside. Closest to town is the Prambanan, a huge complex of Hindu temples constructed in the middle of the 9th century. 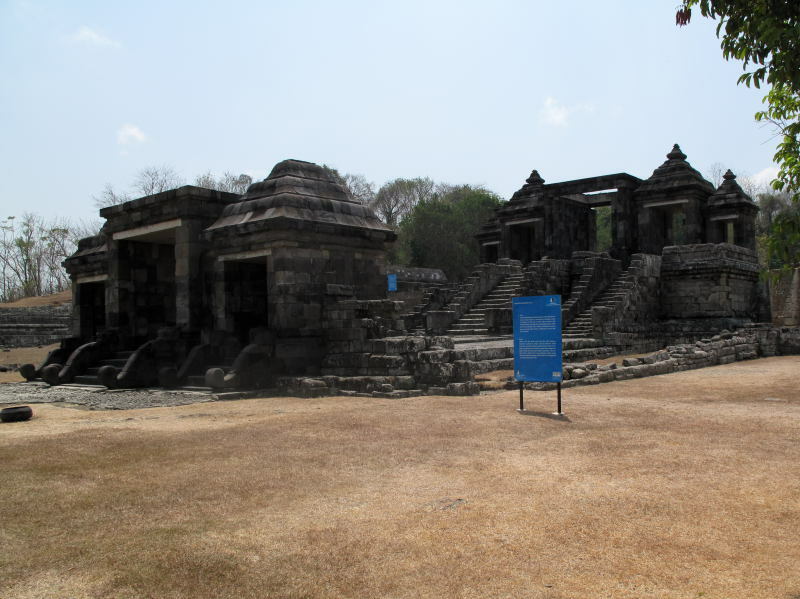 Not far from the Prambanan are the ruins of a hilltop palace (or maybe a monastery) called Ratu Boko. Further afield is the massive Buddhist temple-mountain of Borobodur. Beyond Borobodur is the Dieng Plateau, where you'll find some of Indonesia's oldest temples, as well as an active volcanic landscape. The sights of Solo are also just an hour or so away, but I would recommend you stay a couple of nights there to really take in the city and its surrounding attractions.